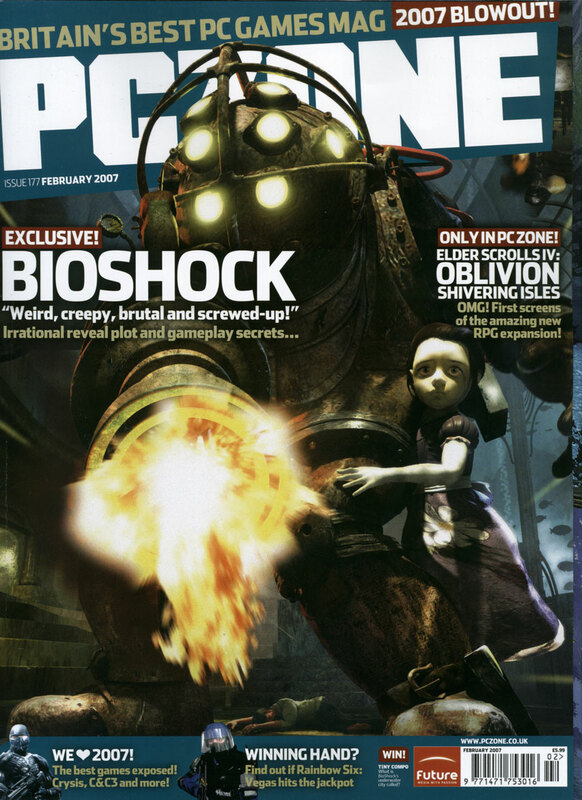 BioShock is on the cover of the February 2007 issue of PC Zone UK! "There are plenty of amazing games coming in 2007, but BioShock is right at the front of the queue, From the atmospheric art direction, to the new info we've drawn from the lips of its creator Ken Levine - 'gleeful' is the perfect word." The magazine includes some new screenshots, although they are quite small, and comes with a 2006 calendar featuring some of the older screenshots! Pretty nice for a freebie! And if anyone is feels like it there is a bigger version of the magazine cover right over here!